Amazing machines when they work, not so when they don’t. 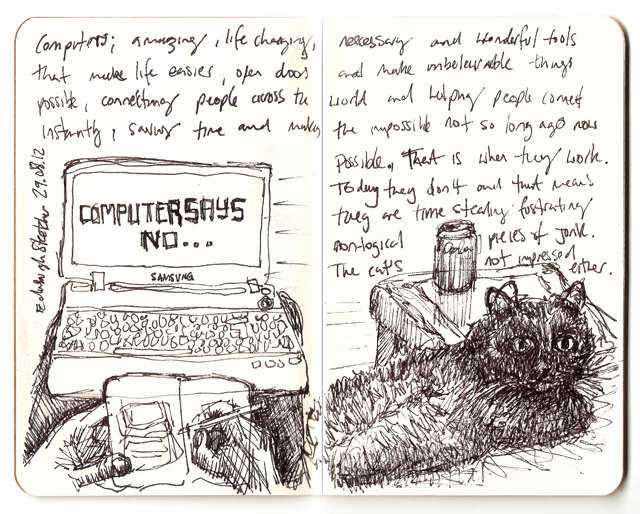 Tonight I’ve been trying to speed up Mrs Sketchers laptop, which is days old and struggling to startup. Fingers crossed it’s running okay now but when the computer says ‘no’ you realise how much we now depend on them.